Jennifer Shahade is a two-time U.S. Women's Chess Champion and professional gamesplayer. 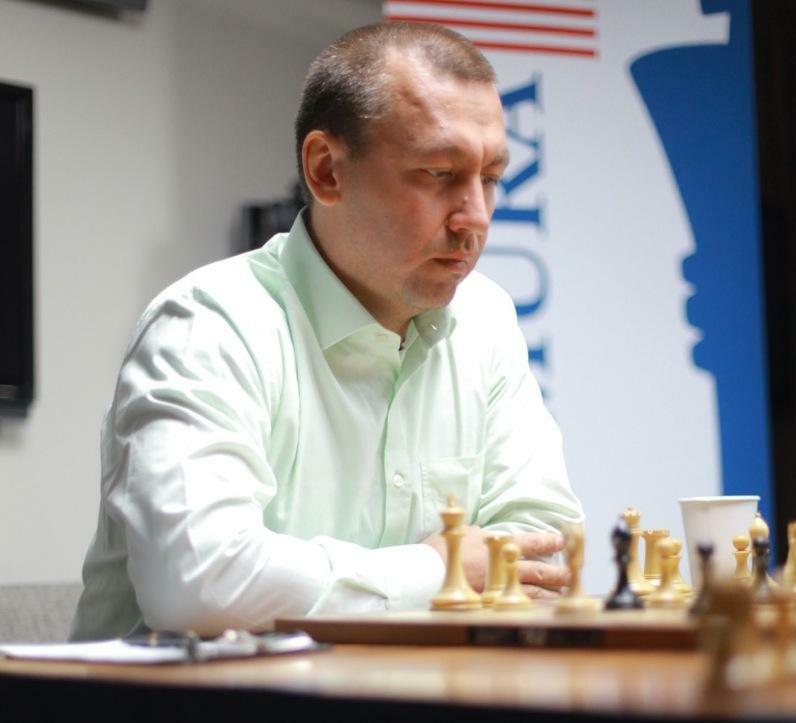 After all, Shahade’s shocking red hair, bright blue eyes and ceaseless smile are highlights on one of the most identifiable faces around St. Louis and U.S. chess. For the past five years, she has paired with GM Yasser Seirawan as the powerful play-by-play commentary duo, granting the rest of us access into the minds of the nation’s top Grandmasters as they compete for national titles. Yet on her website, she peers out at us not from behind two pawns but, instead, a pair of spades. More concerning, earlier this month Pokerstars.com, one of the largest online poker cardrooms in the world, announced Shahade as their new Mind Sports Ambassador, to represent the brand as a celebrity through public appearances and sponsored play. But as my defense-mode of the chess icon desperately begged for her allegiance to the king’s game, instead of taking sides, Shahade began to pull me toward the common ground between the two games. And that is exactly what Pokerstars wants out of their ambassador. Online poker, gone dark - but not dead - around the nation since the 2011 federal government shutdown referred to as “Black Friday,” has rooted itself in the defense that it is a game of skill, and not chance. And what better way to display that argument than to align itself with chess, a game solely decided on skill - or lack thereof. Shahade, whose recent TED Talk begins to tie similarities in strategy and thought processes between chess and poker, is the perfect definition of that synergy. True, a lot of quality chess minds have found comfort in poker: GM Alexander Grischuk is a top-ten chess player in the world, and also one of the best high-stakes players in Russia. In the states, GM Mackenzie Molner, who will play in the 2014 U.S. Championships here in St. Louis in May, spent time moonlighting as a poker professional and once cashed in for a $10,000 prize. Shahade did qualify her statement, however, by admitting that all chess players did not necessarily translate to poker pros - though she declined to respond when I asked who they were, specifically. 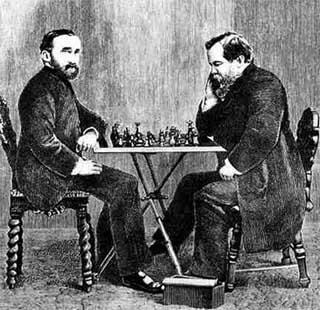 Chess would not necessarily be left without value in a relationship with poker. The otherwise underground card niche hit a mainstream boom around 2003 and has remained wildly popular over the past decade - a marketing blueprint of which chess could take heed. It turns out that Shahade, at least of the Jennifer variety, is not even Pokerstars’ first foray into the chess world. For eight years, the card site has sponsored the U.S. Chess League, which was founded by Jennifer’s brother Greg Shahade, an International Master and an accomplished poker player. 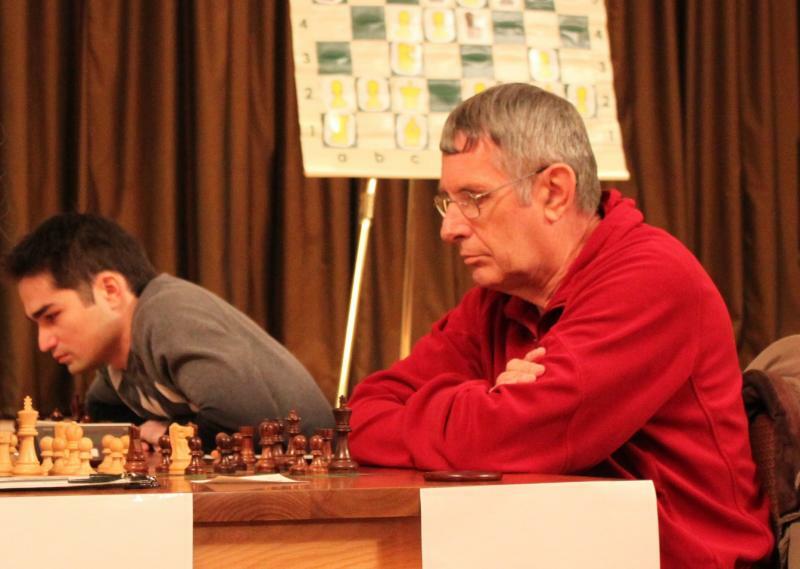 The high-profile chess league features national team-oriented competition in which the St. Louis Arch Bishops compete. Apparently doubling down on their trust in the Shahade name, Pokerstars has also announced lead sponsorship for the Isle of Man Chess International in October, coinciding with the Pokerstars UK & Ireland Poker Tour at the site’s headquarters. The top United Kingdom GM Michael Adams has already committed to play. Shahade’s appointment as Mind Sport Ambassador seems like a good bet for Pokerstars - and a free ride for chess. It’s exactly the type of glamor two male-dominated games borne in the back of dimly lit, smoke-filled rooms so desperately need. If Shahade commands a poker table in the same way she commands attention in the Chess Club, I want nothing to do with it. But any St. Louis poker players who want to try their luck - ahem, test their skills - against her have the chance. Today she wraps up her Resident Grandmaster duties at the CCSCSL, visiting the chess club at Visitation Academy to inspire chess glamour to 50 girls at a time, but Friday she will appear at the Lumiere Place in the WSOP Circuit Main event - her first appearance as ambassador. Twelve of the top chess players in the U.S. just got fantastic news: Grandmaster Hikaru Nakamura will not be fighting for the title of 2014 U.S. Champion. Nakamura, currently ranked No. 8 in the world, declined his invitation citing his decision to prepare for, and compete against, only the world’s elite. This isn’t surprising, really. A number of the world’s best players forgo their national championship for similar reasons. The last time World No. 2 Levon Aronian won the Armenian National Championship was 2002. Viswanathan Anand hasn’t claimed India’s title since 1988.